Our gift shop, the Gift Garden, is now online. We carry all kinds of Judaica, but this webpage will feature seasonal items. Right now, we are highlighting High Holy Day items. You can find the link by selecting COMMUNITY in the navigation bar and Gift Shop on the drop-down. New! We now have a room exclusively for infants age 3 to 12 months. Click Read More. Our preschool is a warm, loving, and learning environment for your child with many options for days and hours. Click the Read More button below for more information. For a registration form, click here. Camp Menschy will run at Temple Sholom from June 26 to August 4. Click here for more. Call the Preschool to sign up. Do you know someone in need of our prayers of healing? You can now submit their name to our Mi Shebeirach list using an online form by clicking here. All submissions are as confidential as if you called the office to add a name to the list. Click to view events happening in our Sancutary or our archive of events. Or click here to visit Amazon Smile. 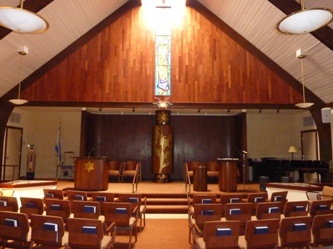 Be sure to enter "Temple Sholom in Broomall" as your charity of choice! Temple Sholom is a participant in the Amazon Associates Program. We earn money both when you click the link above and when you select Temple Sholom in Broomall as your charity of choice through Amazon Smile.